The UKs favourite Italian chef Gino Dcampo has teamed up with Individual Restaurants, to launch; Gino DAcampo My Restaurants. Gino D Acampo, Corn Exchange, Exchange St, Manchester, M4 3TR. The UK’s favourite Italian chef Gino D’Acampo has teamed up with Individual Restaurants, to launch; Gino D’Acampo My Restaurants. The first location opened on Thursday 17th December 2015, in Corn Exchange, Manchester and will be quickly followed by a second restaurant, which will open in February 2016 in Euston Station, central London. 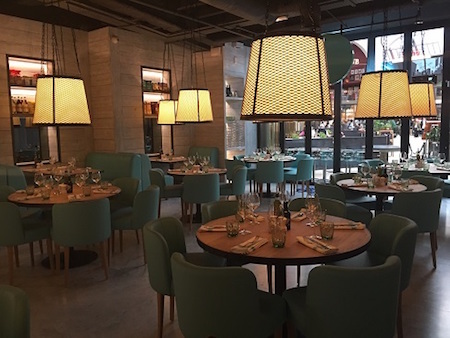 The Manchester location seats 250 guests and offers a seat at cicchetti bar, with the addition of a large outside area, which leads onto the bustling Exchange Square, facing high end retailers Selfridges and Harvey Nichols. Diners will also have the option to dine in or takeaway, ensuring that local city centre residents have a new high end takeaway option to add to their speed dials.